resistant, and will not fade. The position of the design may vary slightly as each lighter is a unique piece. 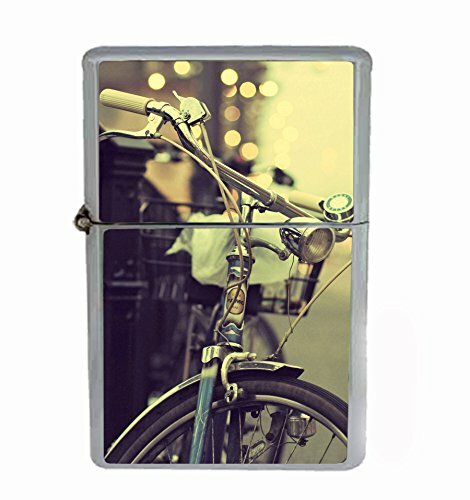 This high quality metal chrome flip top lighter is a wick, flint and fluid fuel petrol lighter. (Wick and flint is included, the fluid fuel petrol is not included, you can easily buy from your local stores.) It measures 2.25"(H) x 1.5"(W) x 0.5"(D).